The 5th Series concert of Baroque 2000 will take place on September 3. 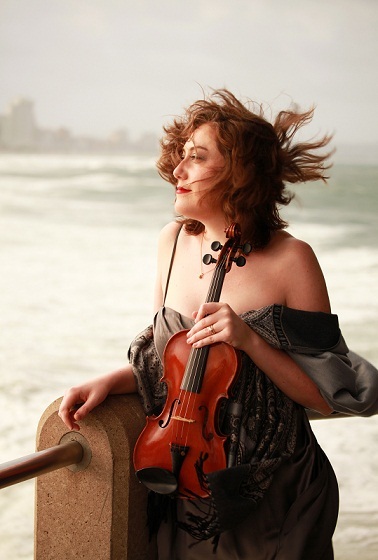 Joanna Frankel, formerly concertmaster of the KZN Philharmonic Orchestra, will appear with Baroque 2000 ensemble. Now concertmaster of the Columbus Symphony Orchestra in Ohio, Frankel is soloist in Locatelli's violin concerto op3 no 12, known as the 'Harmonic Labyrinth'. This title the composer wrote below the start of a fiendishly difficult solo passage in the first movement, along with the words, 'Easy to enter, difficult to escape'. There are two other works by the same composer: the Concerto a 4 Il pianto d’Arianna Op7 No6 and his Introduzione op4 no1. Also on the programme is Castrucci's Concerto Grosso op3 no.6.